Oil filled to stabilize pointer when pulsations or vibration exists. 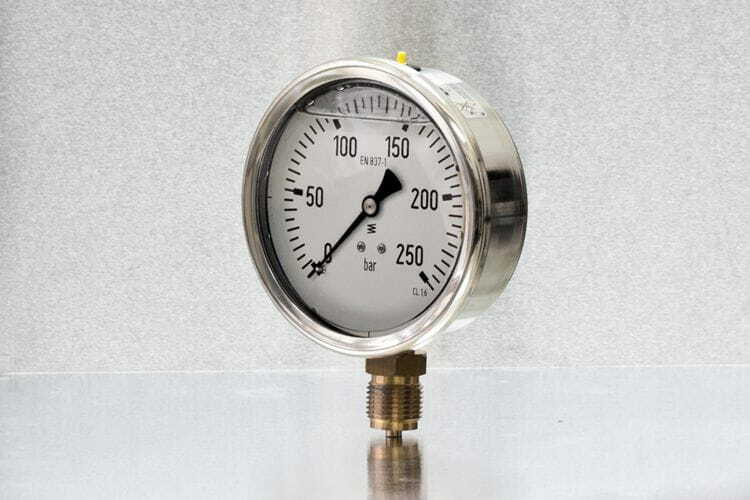 This type of gauges are equipped with a fluid restrictor in order to avoid sudden pressure rises. Specially indicated for outdoors installations due to its stainless steel weatherproof case.